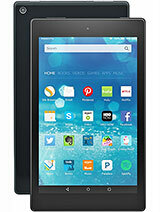 I like the amazon fire 7 10 inch screen, the battery doesn't stay charged for more than a couple hours. The battery will need changing soon. I keep minimal background programs running. Utilities don't help so each program not used gets deleted. I've had this for over a year, and I love it. I got it after my Nexus 7 2013 broke (still have to replace the daughterboard in that) and it has done most of what I need it to. 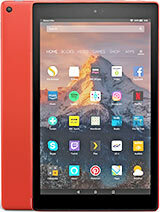 I'm considering putting Android 9.0 on it to make productivity more streamlined with my phone and desktop, but for the $130 or so that I paid for it, the Fire HD 10 has held up very well. 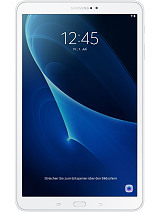 However, I'd pay a bit more for better battery life, which is mediocre. But hey, it was cheap and still runs alright. Very good device, very good. Fast, well made, good price, very good price. I like it very much. Navynuke, 09 Jun 2018Wow! I'm guessing you haven't actually tried one, since you are so vehemently opposed to it, u... moreVery good and be proud that you are very rich to have several smartdevice!! But in this very cruel earth , some disadvantaged deprived unprivileged people must sell their body parts to buy an iPhones !! So it is not a shame that the poorest people buy Amazon that does the same jobs with the lowest prices !! Having several smartdevices can not create pride but being humans is the greatest pride with living heads up....!!!! robdevil XI, 19 Oct 2017Horrible stuff sold to poor people to make more money. I will never ever use amazon s**t. Slo... moreWow! I'm guessing you haven't actually tried one, since you are so vehemently opposed to it, unless you are poor, in which case you may own one. My family of 3 has 4 iPads, 3 iPhones, 2 MacBook Pros, a 1st generation Apple TV, and I have an Apple Watch. I am typing this on a Kindle Fire HD 10. We are not wealthy, nor poor. My point is, your comments are completely baseless, make no sense, and offend poor people. I don't particularly like Amazon, myself, as I have differing political and moral views. 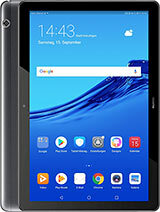 But I am glad that this tablet, which has 1920x1200 (a little above 1080p HD), AC wireless, Bluetooth 4.x LE, and feels quality, can be owned by people not so fortunate as you are. @algar1931, 18 Apr 2018Hi I wanted to conect this to my personal hotspot on an IPhone 7 but It canÂ’t be done Can yo... moreIs your wifi SSID is hidden? I used computers in all my life. I can't travel without computer. Now, I gave myself a project to hunt for "a light, at least 8-hours battery life between charges, 10" and above screen for my reading, of course WiFi and Bluetooth, reasonable click and response time, the purposes of the tablet mainly for email, browse Internet, a little bit document modification, my pictures viewing, and mp3 listening, mp4 viewing". That is all I need. 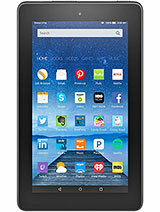 This Amazon Fire HD 10 has 1.8GHz CPU with 32 GB memory (can add up to 128GB externally). It has everything of the above requirements after I added the Google Play Apps to it. I used it to connect to my iPhone 6 Plus thru the WiFi Personal Hot Spot to go online on the road and Google Map for me. Right now, I have everything that I am looking for from this tablet! 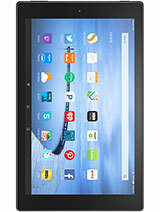 For general use and to pacify my kids this is a great tablet. I don't expect much from this tablet though. The ability to bring up netflix or play my burned movies form micro SD and to play some simple games for the kids is exactly what I was looking for. I will never use this tablet to crunch numbers, pull up spreadsheets, or anything else work related. But video calls with distant relatives and basic email functionality is all good with me. MTK chip is OK (it is relatively powerful btw), but Android 5 and 2GB RAM is ridiculously stupid choice. Why Amazon simple cannot outsource it to company like Onda? V10 pro model is so much better than that crap and costs the same. 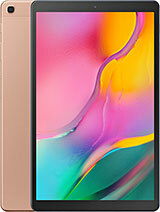 This tablet is disgrace for the company and to the customers. Horrible stuff sold to poor people to make more money. I will never ever use amazon s**t.
Slow, laggy, unresponsive, bad quality. Install MX Player or VLC that can play mkv videos on SD. This page says that the SoC is a MediaTek MT8173 with "2xARM Cortex-A72 (1.8 GHz), 2xARM Cortex-A53 (1.4 GHz)". Cool! Should be more than the 30% faster that they advertised... Also PowerVR GX6250 GPU. aussie, 22 Sep 2017No chance to challenge ipad, from every aspect, at all.It's clearly not meant to compete with an iPad. The iPad is a Porsche where as this is a Corolla. I've got the hd8 with Google play side loaded and it's a great tablet for the money. No chance to challenge ipad, from every aspect, at all. 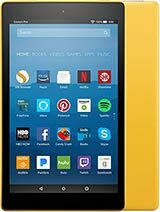 Total of 25 user reviews and opinions for Amazon Fire HD 10 (2017).